That was a horribly frustrating game to watch as a Spurs fan – yet again we struggle to break down a team that defends deep and in numbers, and we looked slightly vulnerable on the break (as with the Wigan game). With Crouch totally ineffective, we were badly lacking in the final third, and bar a brilliant Modric volley, a couple of efforts from Jenas and van der Vaart, and Huddlestone’s poor miss, we didn’t create enough chances. We need one of our forwards to step up and find some form. West Ham’s goal came from one of their 14 corners – they were shooting from anywhere, and enjoying the rewards, with Cudicini generally rooted to his line at most dead ball situations (we probably miss Gomes most when defending set pieces). On this occasion, it’s Corluka marking Piquionne, and he gets rather caught under the flight of the ball, whilst Piquionne gets a bit of a run on him. Corluka and Piquionne are both positioned centrally. 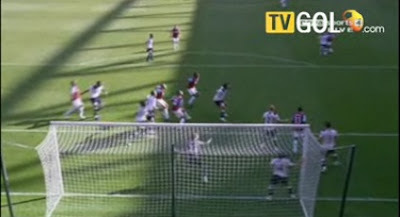 Notice that we have Modric on the near post, but nobody on the far. Piquionne starts to make a run, and then checks – in this time, Corluka has stood still, trusting his standing jump. Piquionne gets up well, helped by a slight run; this gives him the aerial advantage over Corluka. 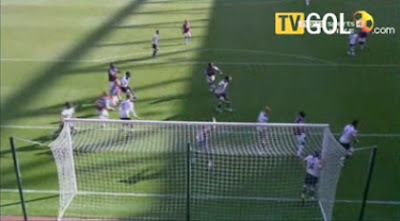 He angles the ball well into the corner which is unguarded – whether that was intentional or otherwise, it was sloppy. With Bale forced to play at left back in Assou-Ekotto’s absence, and Lennon lacking form and confidence, we lacked width for the majority of the game. Redknapp’s changes did nothing to solve this, with Keane coming on for Lennon, and then Pavlyuchenko and Giovani replacing van der Vaart (who had moved wide), and Crouch. It’s easy to say in hindsight, but I think it would have made more sense to switch to three at the back – Hutton right, Corluka central, and Bassong left, giving Bale freedom to get forward on the left. Two local derby defeats in a week – not a good one for us. under tens put two players on the posts enough said. Were you at the game today Windy? "Break down a team that plays deep", what match were you watching? The statistics showed WH had 70% of the possession in the first half! You were outplayed by a better team. how can a spurs squad appear at odds with itself? at our feet which is a confidence problem........? We defended thirteen corners successfully. Amazing. Look for the positives Windy. Even with our three most creative midfielders on we could't plot a way through a crowded defence. Agree not enough effective width and Crouch doesn't offer enough movement and control up front. Spurs were awful. Can't pass, can't shoot, can't defend. outplayed? ?i think he needs to watch the game again all i saw was west ham playin endless long balls forward or down the sounds for the hard workin forward who in fairness bullied are back 2.the 2nd half was spent in west hams half but created very little and west ham countered in very few numbers.west ham are a poor team which makes the defeat harder to take.but spurs are looking very powder puff up front probably due to lennons inability to beat an egg right now. Is anonoymous a hammers fan? Its their first win over us in ages! Let em celebrate this one time & we'll do em back at the Lane. Percentage wise, Spurs won easy but I'd rather win the game thanks very much. Watch 'em now bleat and say "your club is nothing, small, you act bigger then you are.." etc etc. One up just hasn't worked in any game, this season. We just don't have the player for it. Even when we've won or drawn, we rarely get platyers into the box and have rather few shots from inside the box, no matter how much possession we may have. Ha! Ha! Ha! Ha! Ha! Ha! Ha! Ha! Ha! Ha! Ha! Ha! Ha! Ha! Ha! Ha! Ha! Ha! That'll have Arry twitching for a while, COYI!!! 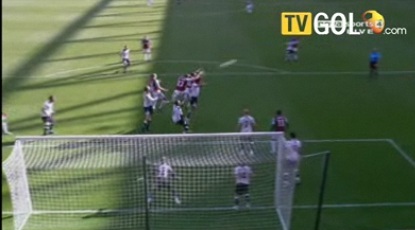 Why didn't Crouch start alongside Pav instead? This would've widened attacking options. Wings - Lennon and Bale feeding crosses to Crouch. Central attack - VDV and Modric feeding chances to Pav or even Keane. I'm afraid that the way things are currently going, Spurs' attack is very one-dimensional due to relying too much on wing attacks which other teams learn to deal with and then counter. At least you lost at a tough ground away from home and to an established premier league team!! A day of a few surprises. Am sure you lot will be slighlty happier that our lot got stuffed at home. BTW, enjoy your site, pics and all. Anonymous @ 18:05 - I don't disagree that for the first half hour or so we were totally outplayed by a neat, tidy, high-tempo West Ham side, that were prepared to take shots on. After that, it was all hands to the pump, with 9 or 10 men mainly behind the ball, and long balls down the channels at every opportunity. I'm not knocking it, I'd have happily swapped our displays! I wonder if there's a worse marker in the league that Vedran Corluka.